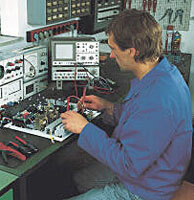 Specialists in electronics, mechanics and mechanical engineering produce precision parts. They develop solutions for high strength and easy operation. 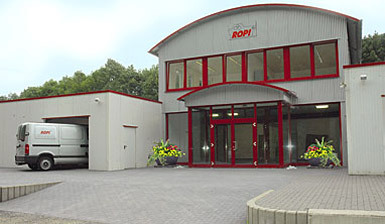 With their valuable work, they have contributed to the fact that ROPI-machines have proved their worth for many years at home and abroad. Serial production guarantees perfect supply of spare parts and fast service.We always have all precision parts for our machines in stock. A compact solution for every printer and folding-Box producer.